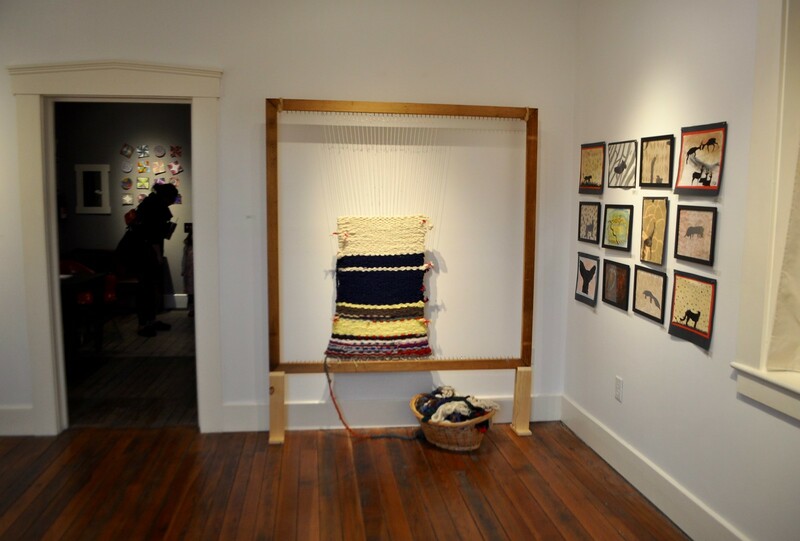 At Villa di Maria’s student art show a couple of weekends ago, no one could miss the huge loom and woven art that was presented just opposite the front door of Reese Gallery. 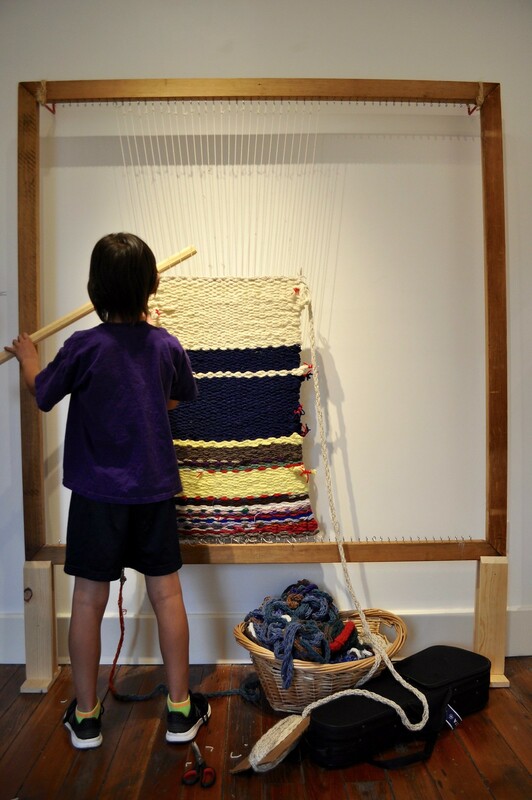 This student-made work-in-progress was born organically within the Montessori classroom. Find out how, below. 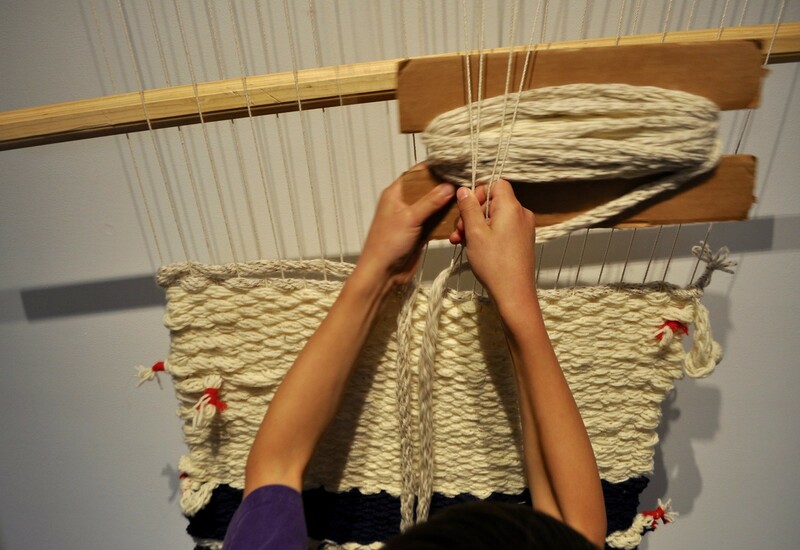 Look closely, and you may recognize the long looping patterns in this basket; they are from hours and hours of finger-knitting, the hand work that has been so popular during read-aloud in the Elementary classrooms. 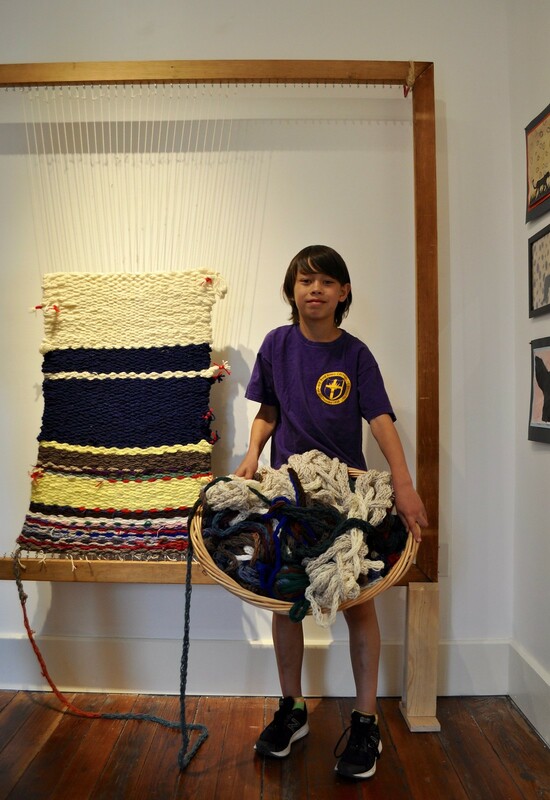 After this child brought home (and added to) miles of finger-knitting, it ended up piled into a large basket in his home. 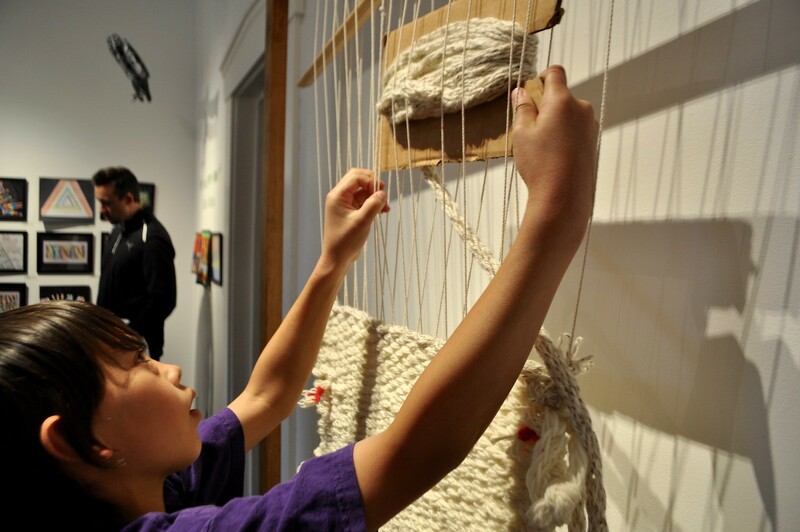 Wondering what they could do with it all (and perhaps considering more than once pitching it all out), the family collaborated with Upper Elementary Guide Rebecca Callendar, who had access to a giant loom, and together, they came up with the idea of hand-looming a textile out of the materials. 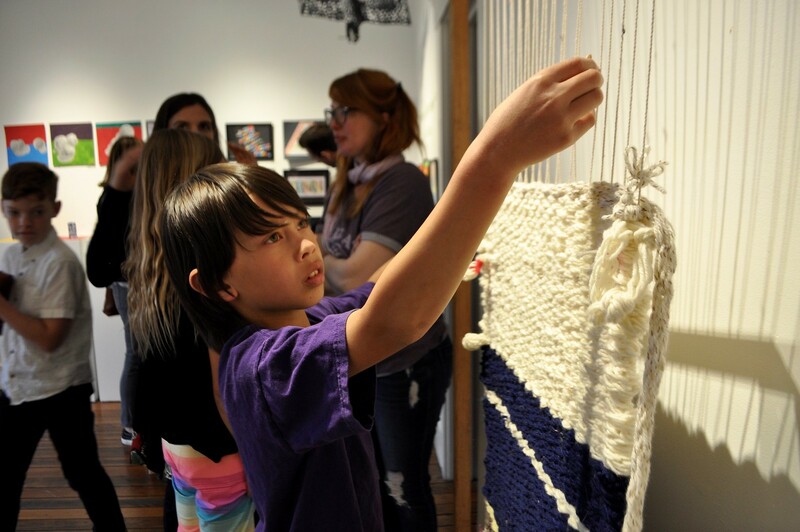 The child worked on his textile art in the large common space in the Elementary building before transferring it to the gallery for the show. 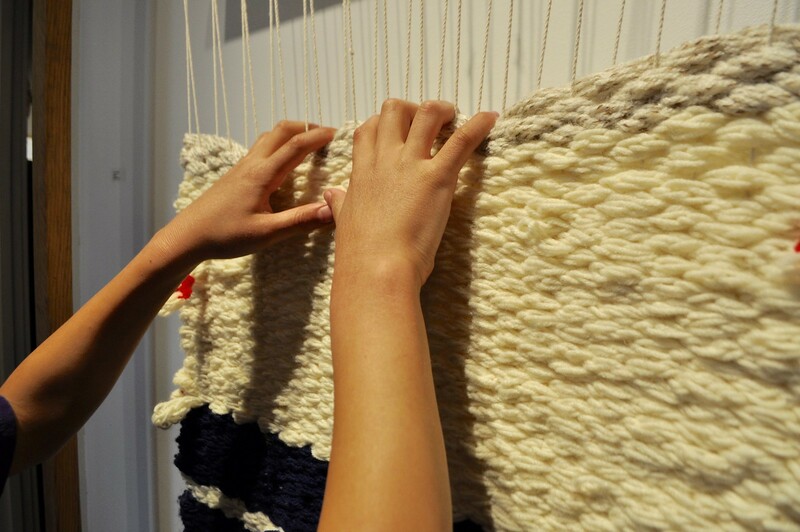 There, he gave a demonstration on the process of weaving such a large project, which observers thoroughly enjoyed! We continue to be inspired by and impressed with the process and direction that this open and curious form of education brings to us, our families, and our community. Thank you for sharing your work, Hank! We can’t wait to see how it all turns out! Previous Previous post: Give STL Day! Next Next post: Circus Night 2018!